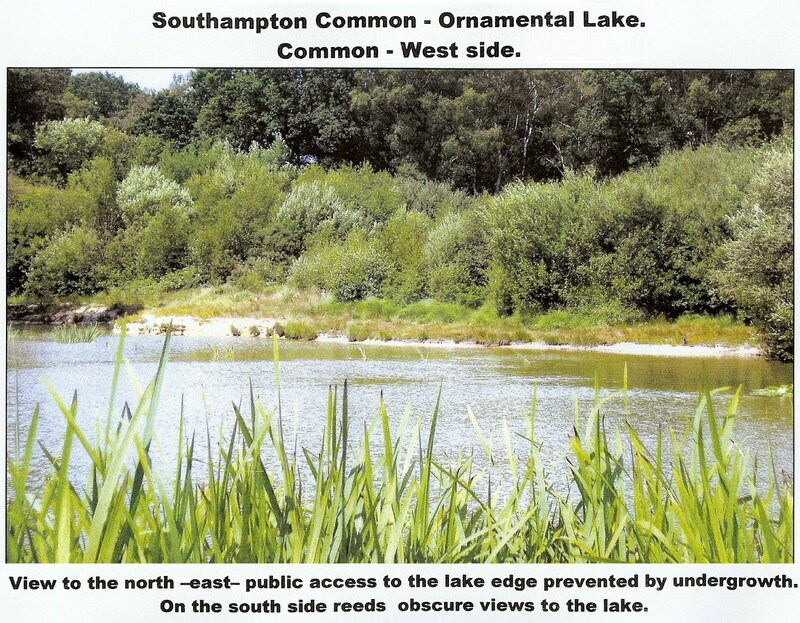 Southampton Common has its ‘Ornamental Lake‘ originally created in l888 by combined efforts of many including Council; Southern Water Authority; HMG Environment Agency. Improvements , etc., over years – 1910, 1933, 1947, 1982 & 2003. What of its future? For people? The north side should be cleared by at least 4 metres width to allow a safe path to be created with seats for our City’s people to enjoy the place. Independent consultation should be carried out to evaluate the people’s wishes. Angling should be prevented along the north side. 2010 would be the anniversary of its creation. truly, a commemoration for all who cared for our Common..